theatrical violence of the Jewish festival of Purim. He has also examined the different ways in which the book of Esther, upon which the festival is based, was used by Jews and Christians over the centuries--whether as an ancient mirror of modern tribulations or as the scriptural basis for anti-Semitic claims regarding the bloodthirstiness of the Jews. 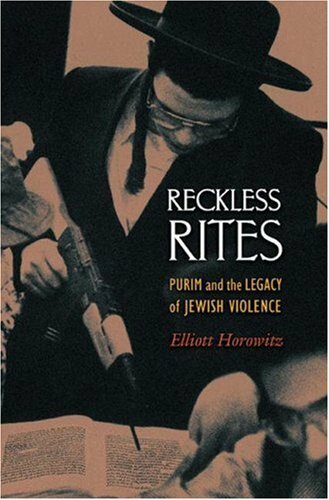 Reckless Ritesreassesses the historical interpretation of Jewish violence--from the alleged massacre of thousands of Christians in seventh-century Jerusalem to later medieval attacks on Christian symbols such as the crucifix, transgressions that were often committed in full knowledge that their likely consequence would be death. A book that calls for major changes in the way that Jewish history is written and conceptualized,Reckless Riteswill be essential reading for scholars and students of history, religion, and Jewish-Christian relations.